Hey readers, based on popular demand we bring you The very first MusicCafe Page Girl of the Week. She is Ronke Alo, TV Producer and Script Writer. She is an avid fan of this site. Are you beautiful, handsome, daring, uber-cool and upwardly mobile like her? 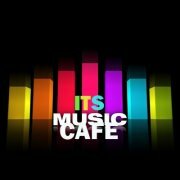 Send your pictures and a little write-up to us at itsmusiccafe@gmail.com, and you might just be the next reader of the week. Yeah, she is petite and pretty, I agree to.